The Chinese game of Mahjong is very popular among VIP’s in Asia. JBRND is currently the only company in the world who makes a Mahjong table that is certified and ready for flight aboard nearly any aircraft. 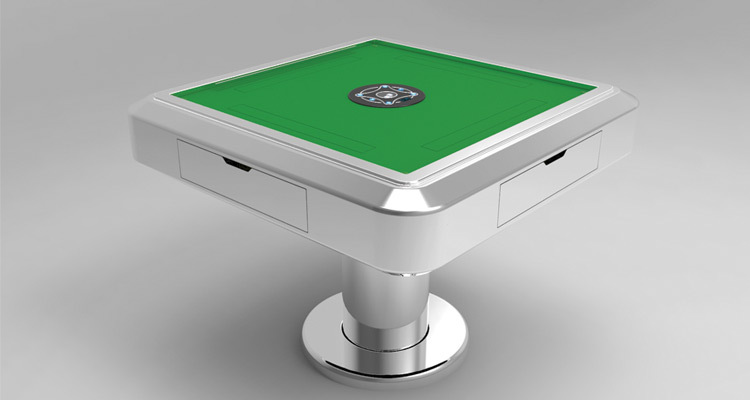 The table doubles as a normal stand alone table when not being used for the game, allowing easy access to the game when needed and providing extra functionality when not in use. 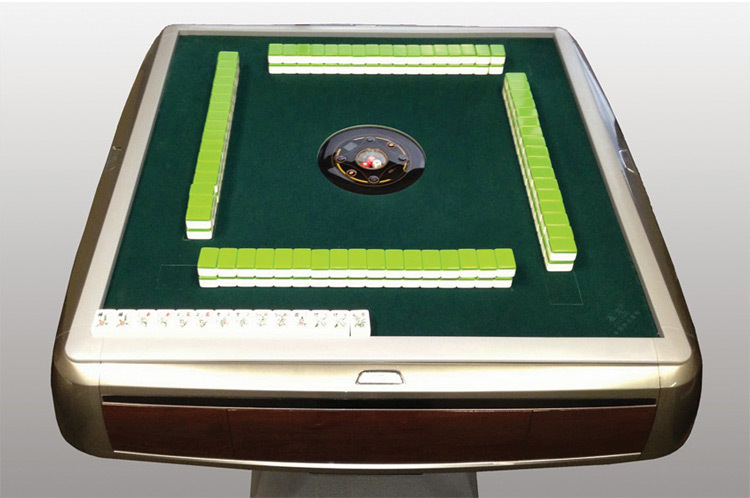 These beautiful electronic Mahjong Tables are custom built to match the look and feel of any aircraft. Anyone sitting at a JBRND Mahjong Table will appreciate the attention to detail in the quality and the finish. These game tables also double as functional stand alone tables when not in use. High quality tables tops cover the game surface, transforming the table into the perfect spot for work, dining or other activities. Mahjong shares similarities with the games Rummy and Conquian. The game is very popular in China and Japan among other Asian countries. Take a look at our short video showing the Mahjong Table’s features in use, and showing more options for this beautiful piece of equipment from JBRND. 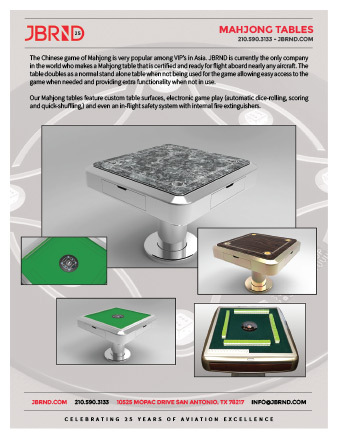 Get the JBRND brochure for our Mahjong tables. The brochure is one page, in PDF format, ready for printing. If you are interested in any other JBRND brochures, make sure to visit our Downloads Section, where there are many others available. As always, just get in touch if you have questions. 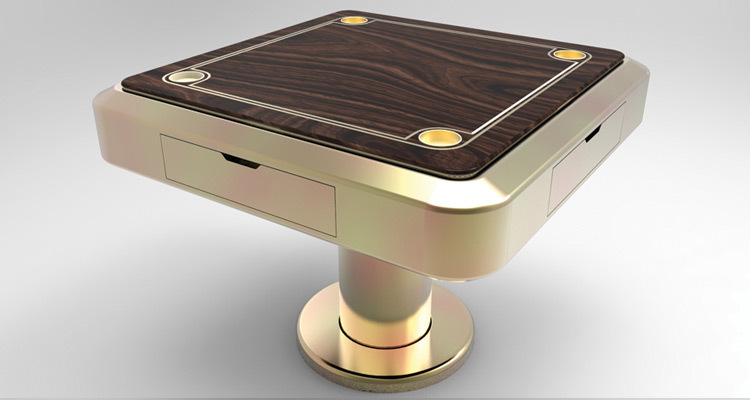 JBRND has made many custom Mahjong Tables for aircraft, serving customers all over the world. We look forward to discussing your project. Get in touch with us today to get more information by clicking the button below.